Pac-10 Player of the Year in 2006. With the Bruins, she posted a career batting average of .322 with 31 home runs and 44 stolen bases. Duran played at UCLA from 2003 to 2006. She played third base for Team USA in 2006 when it won the 2006 ISF World Championship. 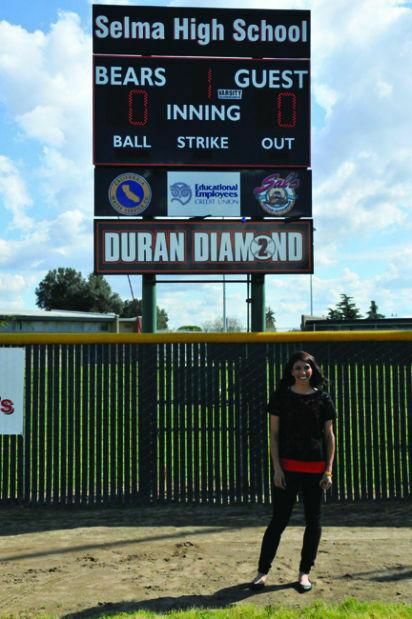 Duran also was a four-time All-Star in National Pro Fastpitch (2011, 2013-15). The 2019 class will officially be inducted during the organizations 61st annual enshrinement dinner Nov. 7 at the Fresno Convention Center.